Shopping at ABCCo.net is absolutely secure and safe! You never have to worry about credit-card safety when you are shopping at this site. We guarantee that each purchase you make is protected and safe. If fraudulent charges are ever made to your credit card, you will not have to pay for them. And this is not all! 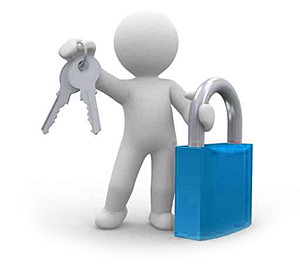 We use the latest encryption technology to keep your personal information safe. All your ordering information, including your name, address, and credit card number is encrypted using a secure socket layer (SSL) for maximum security. Your credit card and billing information cannot be read as it travels to our ordering system. To ensure that your information is even more secure, once we receive your credit card information and, it is deleted from our system. Only authorized personnel have access to this data for the sole purpose of processing purchase orders. Under the Fair Credit Billing Act, you will not be liable for more than $50 of fraudulent charges. In the unlikely event that you are subject to fraudulent charges, remember to first notify your credit card provider in accordance with its reporting rules and procedures. If, for whatever reason, you are held responsible for this amount, ABCCo.net will cover the entire liability for you up to $50, plus will pay you $50.00 in addition for any inconvenience caused, as long as the unauthorized use of your credit card resulted through no fault of your own from purchases made from ABCCo.net, while using our secure server. Prefer to talk to a real person? We gladly accept orders by phone! Our business hours are Monday to Friday from 9:00am-5:30pm Eastern Time.